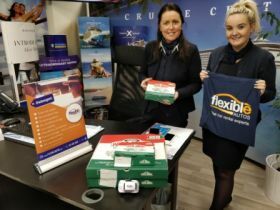 Flexible Autos was on its Free Lunch Friday again on 17th August and the happy winner for July was Strand Travel Worldchoice in Waterford. Hope the team there enjoy the pizza and book more with Flexible Autos! Book car hire with us and you could be the next winner.